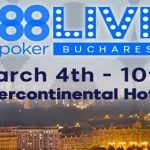 Players who have made a real money deposit at 888Poker have the opportunity this week to freeroll into events in the site´s forthcoming ChampionChip series. 888Poker´s ChampionChip series is a small, micro-stakes buy-in series of online poker tournaments that starts next Sunday (23rd July). 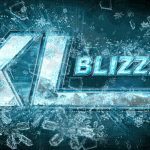 During the course of the week-long series, there will be a total of eighteen ChampionChip tournaments, each offering players the opportunity to add significantly to their bankrolls for a minimal investment. Prior to the start of the ChampionChip series, 888Poker is giving players who have made a real money deposit into their accounts the opportunity to qualify for ChampionChip events for free. Freeroll satellites are running three times every day until next Saturday – each awarding the top fifty players with seats in the corresponding ChampionChip event. If the ChampionChip schedule looks familiar, it is a copy of the schedule used last year for the site´s Summer ChampionChip series prior to the Olympic Games in Rio (hence the sporting theme). 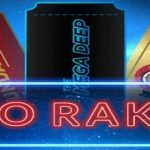 If the success of the Summer ChampionChip series is repeated this year, it is likely that the series guarantee of $150,000 will be knocked out of the park. The freeroll satellites for the ChampionChip events take place at 12.05pm, 6.35pm and 11.35pm (all times GMT) and each clearly indicates which it is targeted towards. Please note that each satellite has a cap of 2,000 players and seats won for the ChampionChip events have to be used – there is no option to exchange unused entries for cash or tournament tickets. 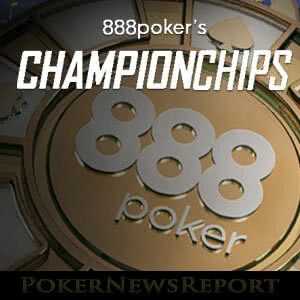 Throughout the ChampionChip series 888Poker will be running a “Winner´s Gallery” leaderboard competition. Points will be awarded for the leaderboard in each of the eighteen events depending on each player´s finishing position, the buy-in for the event and the number of entries (please note that re-buys and add-ons are not counted for the purpose of calculating leaderboard points). 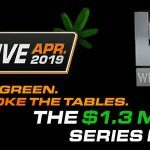 At the end of the ChampionChip series, 888Poker will be awarding a total of $3,000 in cash prizes (for the top 100 players) and tournament tickets (for the next 100 players). Players can monitor their progress daily on the 888Poker website; and, naturally, the more events you play in, the greater your chance of collecting the $1,000 first prize at the end of the series. 888Poker´s ChampionChip series is a fantastic poker tournament series for small stakes players and, while the freeroll qualifiers are underway, you have a great opportunity to win a valuable prize for free. If you have made a real money deposit into your 888Poker account, visit the site today to take advantage of the freeroll qualifying opportunities. If you are yet to make your first deposit, we have an exclusive offer for you. Rather than the regular 100% up to $400 bonus offered by the site, make your first deposit after following the links from our 888Poker bonus page, and you will qualify for an exclusive first deposit bonus of 100% up to $600 and be eligible to take part in all the freeroll qualifiers for next week´s ChampionChip series at 888Poker.